2 Nights accommodation at Banff area. 1 Nights accommodation at Whistler area. City Tour of Calgary - Heritage Park, Calgary Tower. City Tour of Banff - Natural Hot Springs, Banff Springs Hotel, Tunnel Mountain, Bow Falls, Banff Gondola. Emerald Lake, Columbia Icefields. Maligne Canyon, Medicine Lake, Cruise on Maligne Lake, Photo stop at Spirit Island. Peak 2 Peak Gondola Ride. Sightseeing Tour of Vancouver - Stanley Park, Chinatown, Gas Town, Capilano Suspension Bridge, ‘Fly Over Canada’ Simulation Ride. •	Welcome to your “Canadian Rockies – Summer 2019”tour! •	On arrival into Calgary (on your own arrangements) and check in (check-in after 1400 hrs). •	This day is free to explore the beautiful city of Calgary on your own. 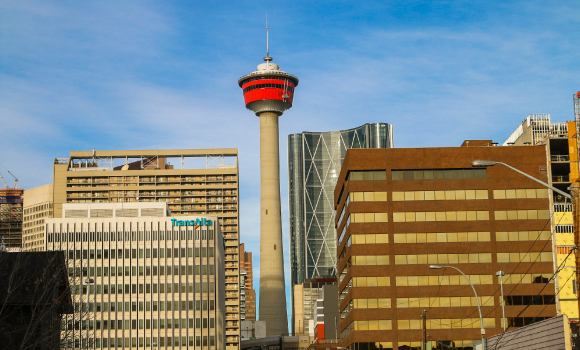 •	Today after breakfast, enjoy a city tour of the picturesque city of Calgary including the outside view of the Heritage Park, the site of the 1988 Winter Olympics and Calgary Tower. •	Later, drive west on the Trans-Canada Highway into the rolling foothills of the Rocky Mountains towards Banff. The majestic peaks of the Canadian Rockies soon fill the horizon as we approach Banff National Park, our first of several in the Canadian national parks system. Explore the rugged beauty, unspoiled landscapes and pristine mountain ranges of this national park on your own. •	Overnight at Banff area. •	This morning, explore the region around Banff. The area became Canada’s first national park in 1885 to protect its natural hot springs. •	Visit the natural hot springs, the landmark Banff Springs Hotel, Tunnel Mountain and Bow Falls. Marvel at the unsurpassed view of Banff and the Bow Valley in a breathtaking gondola to the top of Sulphur Mountain. You will feel like you are on top of the world when you are standing on the spacious main level observation deck. •	This morning, drive to Jasper. En route, visit the scenic Lake Louise, one of the most photographed lakes in Canada. •	Also stop by at the Emerald Lake. •	Later, travel north on the famed Ice fields Parkway through the rugged wilderness flanked by dramatic mountain ranges. At Columbia Ice field, board the specially constructed Ice Explorer to ride on the surface of the Athabasca Glacier. •	Drive onwards to Jasper, a charming town that developed from “Jasper House”, a former settlement of three log supply houses for rocky mountain voyagers. •	Overnight at Jasper area. •	Today, enjoy the day in Jasper nestled within Jasper National Park, the largest and most northernly of the mountain parks. •	Its beauty and history is set amid some of the most rugged peaks in the Rockies. •	Explore the natural attractions of Maligne Canyon, Medicine Lake and Maligne Lake. •	At Maligne Canyon stroll along the 50 metre walls while learning about its unique underground water system. •	Discover the mystery of the disappearing lake and board a cruise on the serene waters of Maligne Lake. Photo Stop at Spirit Island. •	This morning, depart Jasper via Mount Robson, the highest peak in the Canadian Rockies, and take the Yellowhead Highway to Kamloops. 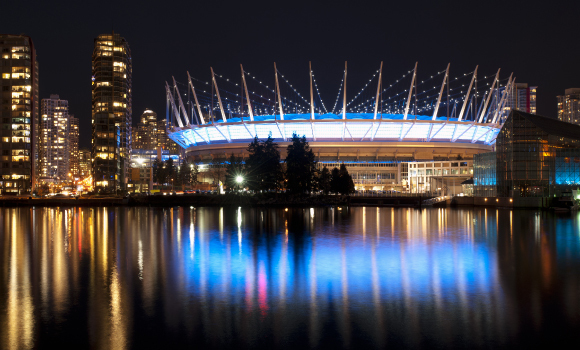 •	This is BC’s friendliest city and Canada’s tournament capital! It has a unique blend of recreational opportunities and a culture of warm, welcoming people. •	There are literally thousands of lakes and spectacular landscapes making it a top spot for any vacation. •	Today journey through ranch lands, Cache Creek and Lillooet, once an important town during the days of the Gold Rush. •	Drive onwards along Duffy Lake Road to the resort town of Whistler, home of the 2010 Winter Olympics. •	Take the exciting Peak 2 Peak Gondola, spanning the distance between Whistler and Blackcomb peaks. •	Soaring 1,427 feet above the valley floor and stretching a little over 4 kilometers, the ride offers stunning 360 degrees views of the surrounding mountain range and Whistler Valley below. •	Overnight at Whistler area. •	This morning, drive south along the spectacular Sea-to-Sky highway through a dramatic landscape of jagged fjords and glaciated mountain peaks. •	Leave the countryside behind and explore the metropolis of Vancouver on a sightseeing tour including Stanley Park, Prospect Point, English Bay, historic Gastown and the bustling Chinatown. •	The afternoon is at leisure to discover more of this coastal gem. •	Visit Capilano Suspension Bridge followed by the ‘Fly over Canada’ Simulation Ride. •	Enjoy a ferry cruise through beautiful Active Pass in the Gulf Islands to British Columbia’s quaint capital. •	Marvel at the spectacular ever-changing Butchart Gardens. •	Drive along the scenic route into Victoria and the Inner Harbour. •	On arrival, proceed on a city tour including Government Street shopping and dining, Empress Hotel, Legislative Buildings and Royal B.C. Museum. Take a walk along the waterfront. •	Relive the high points of your “Canadian Rockies – Summer 2019” tour.